Are you ready for the 2017 Porsche Boxster? Indeed, who isn’t thrilled to see this little beauty take the road? From the lighter engine design to the fresh concept and flawless execution, there’s a lot to love in this vehicle. 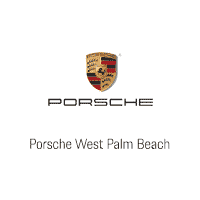 The faster you can get to a Porsche dealer in South Florida and see it for yourself, the better! This particular Boxster is known as the 718 and is a brand new addition to the family. It features a turbocharged 2.0-liter flat 4-cylinder engine that brings you 300 hp and 280 lb-ft. of torque. That’s plenty to enjoy as you zip around corners in this super stylish two-door sports car. What’s more, the Porsche team has improved dozens of other areas as well, such as sharpening the handling and removing turbo lag. You still have the choice of the famed PDK automatic transmission or, for people who love the feel and the power, the manual six-speed stick shift. The best part about the new Boxster? While making these strategic updates, the legendary branch as also made the 2017 Porsche Boxster more affordable. More – for less? This Boxster over-delivers on its promises. That’s right. 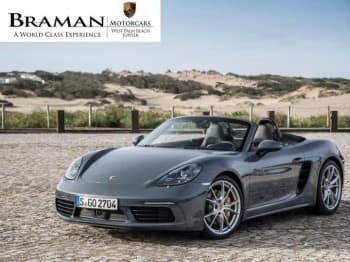 Visit a Porsche dealer in South Florida and you’ll quickly realize that the 718 Boxster is actually $8,000 less than the 2016 Boxster S. Well-equipped and still very clearly Porsche through and through, some people might boggle at the price tag. Consider it Porsche’s way of thanking customers for their loyalty – and of introducing new demographics to the brand. Good tidings for us all as we gape at this shiny new… well, maybe “toy” isn’t the right word for it, but the 2017 Porsche Boxster certainly is fun.